With just one more day left for us to bid farewell to 2016, it’s now time to look back and reflect on some of the major life events that defined our life this year. It’s a perfect opportunity to celebrate the successes and churn out the lessons learned from the failures. For me, I should say I have had a satisfying life this year both at the professional and personal level. As we stand at this juncture of time, I just would like to look back on the year and revisit the steps I have walked over the past twelve months before I walk into another new stretch of my life’s journey in 2017. At the professional level, I am fully satisfied that I have been able to complete all the given tasks on time as planned. Under the project funded by Save the Children International, I could successfully coordinate with regional Youth Centers to conduct 21 Youth Forums and 21 Outreach Programs between January and November 2016. Besides, I was also able to coordinate and conduct an orientation program for the new batch of regional Youth Center staff, the Annual Review Meeting of Youth Center Managers and made sure the library collection at Harmony Youth Center was updated as planned. In addition to the Save the Children Project, I was also able to support the conduct of activities funded by other donors such as the celebration of International Youth Day 2016 under UNICEF support and the conduct of Life Skill Education training for out-of-school youth in Mongar Youth Center under UNFPA support. However, this does not mean that I was able to achieve this success alone. In my office, we always work as a team and hence, the credit equally goes to my colleagues in the office including the regional Youth Center staff without whose constant support, I would have had a different story today. Every success is a collective achievement and we all come to celebrate it together. My Division has a very small team of staff but our strength lies in how we cooperate among ourselves and support each other every time a program comes up. So I should thank all my colleagues in my organization for their immense support and cooperation. Together, we can definitely make a difference. At the personal level too, the year 2016 brought me a few blessings. In July, I got my second promotion and with that, my last four years of sincere and dedicated service to the Royal Government of Bhutan has been well paid off. To me, it’s a lifetime achievement. I received my first promotion in 2012 and now with the second promotion, I am truly honored to have been able to survive various challenges over the past nine years of my service in the government and contribute to the nation in my own small way. I am glad that my boss and the Management know what I can do and what I do. Although I am the only visually impaired staff in my office, I get the opportunity to equally participate in the day-to-day affairs of the organization and share equal responsibilities with other non-disabled colleagues. This gives me the reason to breathe a sigh of relief when I receive outstanding rating during my performance evaluation every year. This makes sure that I don’t have to worry whenever I am due for promotion. However, I don’t relax over it. For me, it gives me a new strength to work even harder and contribute more. Getting promoted to Grade 6 or P3A also means that I am entitled to the first Vehicle Quota of my life. On July 6, just six days after receiving my promotion order, I could place an order for Celerio ZXI through Zimdra Automobiles. Here too, I was lucky. 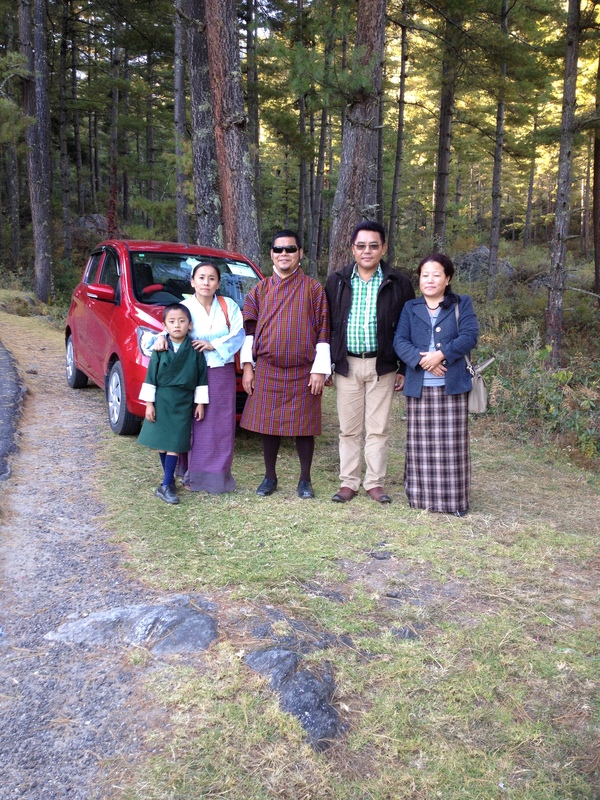 It was a good coincidence that Zimdra Automobiles was conducting a road-show in Mongar with special promotional offers and I was fortunate to have got that chance. As a result, I got Nu.7000 cash discount and free insurance for one year. So I placed the order and on 10th November, I received the first car of my life. I actually did not have the intention to own a car because my wife was not confident to drive. But over the years, we had been considering if we should own one because it’s becoming a necessity nowadays. So my wife joined Gangjung Driving Institute last year and after three months of training and two tests, she finally got her driving license. That gave us a new hope and motivation to buy a car. Today, she is still struggling to drive confidently but she has been practicing regularly to get perfect with it. She has started dropping me off to my office and other few places in the outskirts of the main city. I hope she would soon have the confidence to go wherever we wish. At the spiritual level, I also got the rare opportunity to start Ngondro practice or the preliminary practice in Buddhism from this year. I should say I have been a devout Buddhist right from my school days and this year brought the greatest blessing in my life. In August, I got introduced to a renowned Lama who committed to mentor me throughout this spiritual journey and with few other friends, I vowed to start the practice under his guidance. Then in November, I got the opportunity to receive the highest blessings in Threma practice (Wangchen) from His Eminence Garab Rinpoche at Chubjakha in Paro on November 3, and attended the 3-day special retreat from 4-6 November during which Rinpoche personally guided us through all the stages of Threma and Ngondro practice. . It was an intensive practice that transformed us completely. We received all the blessings and teachings which we could practice through meditation. From 6 o’clock in the morning till 9 o’clock in the evening, I felt I was in a completely different world, detached from the sufferings and pain that all the sentient beings go through. It was truly a unique experience. I am glad that I can be part of this retreat every year henceforth. I and my friends are thankful to our Root Lama for kindly helping us get such a rare opportunity to be part of the retreat although we were only beginners. Last but not the least, the year 2016 also gave me the opportunity to fly out once. I got the opportunity to participate in the Australia Awards South and West Regional Alumni Workshop on Inclusive Education held in Kathmandu, Nepal from 17-18 November 2016. It was not official though. As a member of Australia-Bhutan alumni network, I was eligible to apply for the workshop privately and to my luck, I got selected. So I got the opportunity to be part of the Bhutanese delegates to take part in the workshop. The workshop provided me with lots of new ideas and knowledge in the field of inclusive education in the region. Besides, we were also able to explore and understand the public life in Kathmandu. It was a wonderful experience. 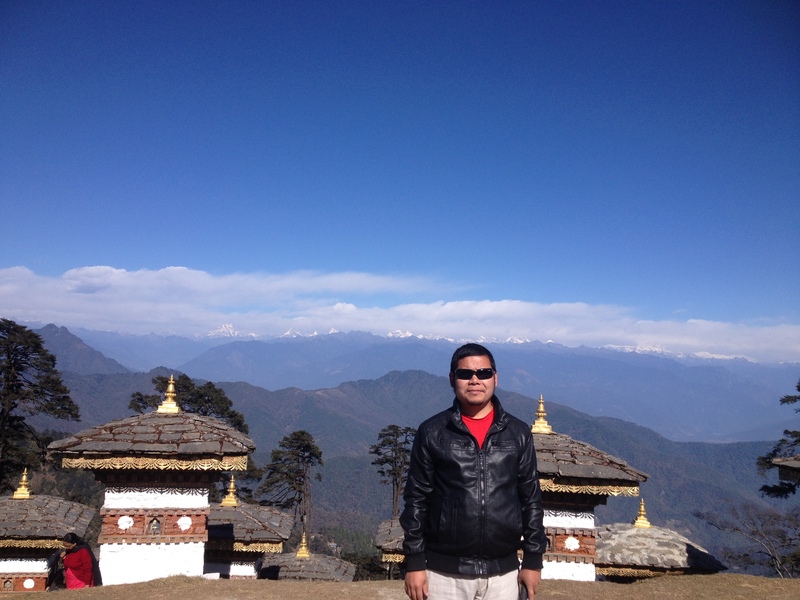 2016 also gave me two official tours: once to Samdrup Jongkhar in August and the latest one was to Bajothang in Wangdue Phodrang in December. Although I don’t officially travel much, I thoroughly enjoy my job in the office and this is what matters to me the most. Overall, 2016 was a great year. I feel blest that nothing tragic happened in my family as well as in the office over the past twelve months, and I hope 2017 would also come with the same amount of blessings and good luck, if not more. A very happy New Year 2017! As always, this one is also a lovely. Very insightful, and what a good way to end the year and begin a new one. I wish you and your family a wonderful brand new year ahead! Here's wishing you and your family a very Happy & Healthy New Year 2017! Thank u so much and same to u too and your family. Thanks and wish u and your family the same.